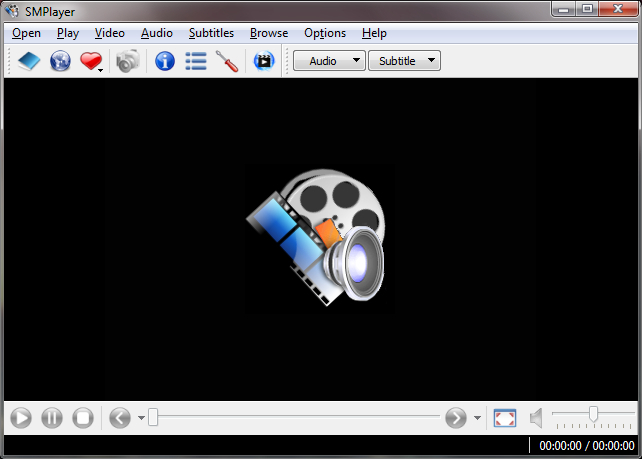 SMPlayer is a new multimedia player. It uses the award-winning MPlayer as its engine, so it's able to play the most known video & audio formats without the need of external codecs: avi, mkv, ogm, mpeg, vob, 3gp, asf, mov, wmv, mp3, ogg. You can also play DVD discs and Internet streams. Pretty good. Tried some videos and some songs. Easy to configure. The new versioning scheme is absurd and ridiculous. I do not want dates but version numbers since a date does not tell anything about the maturity of the product. This playernis the best on Linux distos, but for Windows I prefer Zoomplayer. No blank screen when playing media through an S-Video cable to LCD TV, unlike most all other players outside of QuickTime. Nice and clean layout, but that about all the positive this player has. Worksa treat! The only thing that puzzles me is why it needs to cache the system fonts on first use and then occasionally thereafter. Use it all the time for everything - more versatile than VLC. AHH crash and fail all video, meanwhile use original mplayer without any problem. I think this is the worst mplayer gui ever. Appears to have no support for AMD's Avivo video processing. Fails every test on the Silicon Optix Benchmark DVD. Programs like this shouldn't even be allowed to exist. * Added support for TV (more info in Watching_TV.txt). * New option to enable a global volume. * (Linux) Support for vdpau. * New option to take consecutive screenshots. * Possibility to add some of the submenus to the toolbars. * Better support for *.ts files (requires mplayer >= r29381). * Added the Vietnamese translation. * Added the Estonian translation. * (Windows) New options to try to disable the screensaver. Ther's new version on homepage (0.6.7). Sleep well betanews :) I noticed problems with special Polish characters (fonts in subtitles have no : ?,?,?,?,ó,?,?,?,?) but this player still rock! Maybe latest version doesn't have this problem. 4 by now! I set it as my default player. It works very well. Being able to adjust video color, contrast and brightness is really a nice feature. I recommend that people give it a try.